Intricate braiding gives Pryia an unusual texture, plus lasting style. Its construction makes it durable, too. In neutral tones, Pryia will fit in wherever you put it. Because of it's shape, it'll look great under a side table or accent chair. Use Pryia to add Scandi vibes to your chosen room. 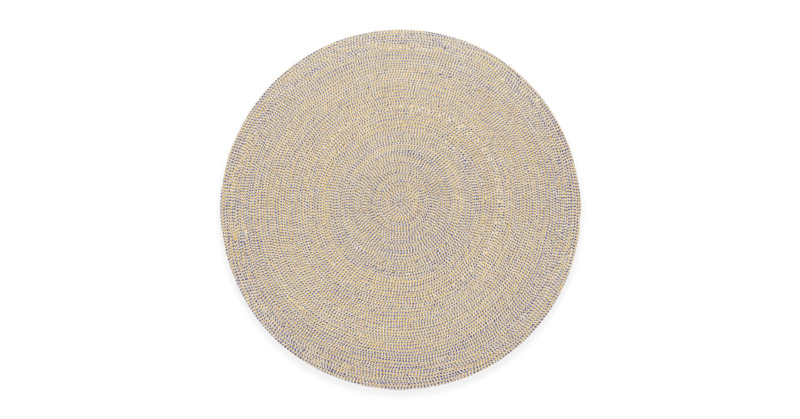 Its circular shape and muted tones are a calming choice.